The arrests of 13 budtenders at one of Colorado’s largest marijuana retail chains last week exposed a hole in the state’s regulations for recreational cannabis sales. The rules stipulate that a retail cannabis store can’t sell more than 1 ounce in a single transaction. But marijuana-focused legal experts say the law doesn’t spell out how much can be sold over the course of a day. 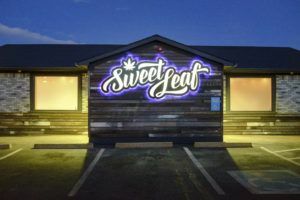 Workers at Sweet Leaf’s eight Denver locations were charged with allegedly selling multiple ounces in separate transactions to the same customer in a single day as part of a year-long undercover investigation by the Denver Police Department. During the sting, a detective or another buyer went into a store, bought an ounce of marijuana, returned it to a car waiting in the parking lot, then went back in and bought another ounce. The operation netted as much as 16 ounces from a single store in one day. Some of the budtenders were charged with felonies for selling more than 4 ounces in one day to the same person, and the Colorado Department of Excise and Licensing suspended 26 of the vertically integrated company’s licenses. 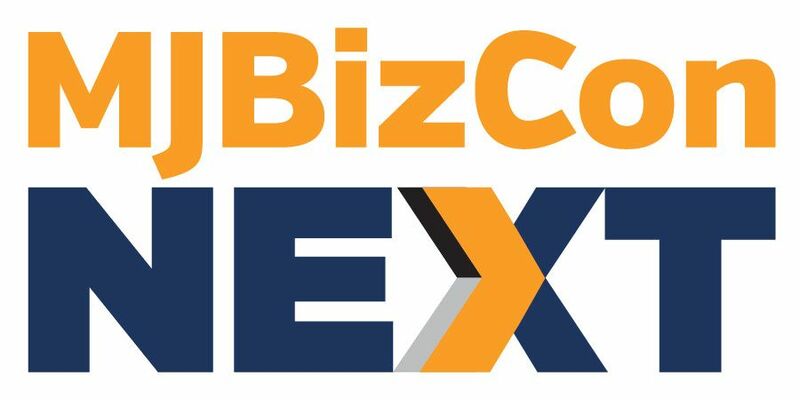 While it remains to be seen if the arrests will result in convictions, legal experts say it’s clear Colorado’s compliance enforcement authorities are intent on cracking down on certain business practices deemed as law violations. Gillette focused on the “sales transaction” language. The state’s current rules don’t say anything about one day or one hour or one week, she added. Sam Kamin, a University of Denver law professor, said the situation is complicated “because no one of those transactions violate the statute. The recreational cannabis regulations limiting the sale of 1 ounce per transaction have been around since 2012. Recreational marijuana businesses aren’t required to track customer data, including their names, what they purchased and when they purchased it. There’s also the possibility a shift change could lead to a different budtender serving the same customer on the same day. “The (Sweet Leaf) case illustrates that there’s this heightened responsibility for budtenders to police what people are doing,” Gillette said. Legal experts find it curious that authorities would suspend licenses and make arrests at the end of the year since the limit of 1 ounce per transaction will offer more clarity in less than two weeks. “A retail marijuana store and its employees are prohibited from transferring more than 1 ounce of retail marijuana flower or its equivalent in retail marijuana concentrate or retail marijuana product in a single transaction to a consumer. “The reason they’re changing the rule is because clearly it wasn’t accomplishing the task or the policy behind it,” she added. “Clearly, the intent of this law is to prevent people from buying product then reselling it. Kamin said the Sweet Leaf situation highlights the need for proper training and supervision in marijuana businesses. “Even if this conduct isn’t illegal, it’s really bad,” he said. “If you’re a manager and you see your budtender sell the same person 16 ounces in a day, you should fire that person. Kristi Kelly, executive director of the Denver-based Marijuana Industry Group, said there’s a difference between how the rules are written and how they are interpreted in light of the Cole Memorandum. That Obama-era memo guides state law on both recreational and medical marijuana, emphasizing the importance of preventing diversion of marijuana out of states with legal cannabis programs. Kelly explains to her members they need to be doing whatever they can to prevent diversion. There are dispensaries in boulder that sell Oz for $99usd tax included. The new law doesn’t really clarify the issue clearly either. So what if there is multiple transactions and the budtender went to lunch or the shift changed or the person coming back in to purchase changed their clothing in their car. You need to shut them out with a lockout after a 1oz purchase that is somehow tied to a license or picture. It’s not rocket science. Hand stamps. Like a club maybe. I manage a store in Oregon, and I can count on one hand how many ounce sales we’ve made in the 6 months we’ve been open. However Oregon does specify that all limits are on a daily basis. However the shift change is still a gap. Doesn’t work. I manage an Oregon retail store. Oregon retailers are not allowed to store any customer information that can be found on their ID card; so, how is the bud tender supposed to know, if their information cannot be stored in the POS system. Can’t be done. No way to enforce this law unless they are tracking individual people. I can go from store to store to store if I want to. Even then I can get people to go shop for me, or go from store to store for me, day after day. Nothing stopping me. So maybe their is no way to enforce this law, period. It is easy to get from all the illegal grows around the state, anyhow. Bureaucracy loves false precision. People in Denver barely stop for red lights, I think I’ve seen 5 people get pulled over for blatant disregard, ever. When I first saw articles about this there was no mention that budtenders weren’t currently limited to one transaction per customer per day up to an ounce, so thanks for clarifying that. This story would have made much more sense had it happened after the new regulations went into effect but it seems like a complete waste of time since technically no laws were broken here. But that will work itself out in court one way or the other. Without getting into the pros and cons, it seems the only way to stay legal is to track customers by name and ID and to maintain a database of purchases that’s available to all retailers in real time. After the situation “works itself out in court”, Sweet Leaf as a business will be destroyed. If it’s not found to be illegal, who is held accountable for the loss of a large business? I thought we were protected? The sad part of all of this is that the budtenders that were arrested sat in jail for 4 days. What a joke! From what I can see, by reading all of the details of what happened, there is no law in place that you can only buy one ounce per day, maybe one ounce per transaction but there is nothing that says that you can’t make several transactions in one day?! Especially if you can go store to store! The detectives should have realized that when they planned to do this raid! I think they are wrong for shutting down these businesses if the law didn’t clarify this “minor” unspoken detail! On the other hand, wouldn’t you realize as a bud tender, that if someone comes into your store 16 times in one day, that there is something fishy going on? The bud tender should be fired but the owner shouldn’t loose his businesses over it! What’s sad is the greed that allowed this to happen. Greed on the part of management/owners and not using common sense . Only allowed to be in possession of an oz at a time. Anyone buying more than an ounce a day on the rec side is not simply smoking it. What they also aren’t telling people is that over 500 people list their jobs the week before Christmas. This company also had huge crops worth millions of dollars that now don’t have employees to water and tend to. This DENVER cop was also doing this undercover work in the Aurora City jurisdiction. Not legal! This is the job of the Colorado MED. Why are DENVER cops wasting tax payer time and money in the wrong jurisdiction? Cops lie too. 500 people lost their jobs for no law broken and owners lost millions for no law broken. These cops need to chase real criminals, like child molesters, rapists, gangs, and murderers. Leave these good people alone! Someone needs to create a basic program that all MJ shops are mandated to use at the door when they check identification, something basic first & dob. If someone has already met their limit at another location or Company make it pop red when the associate presses enter. See if it protects the brands & stops the problem at the door. Legally we cannot save ANY information that can be found on a driver’s license.